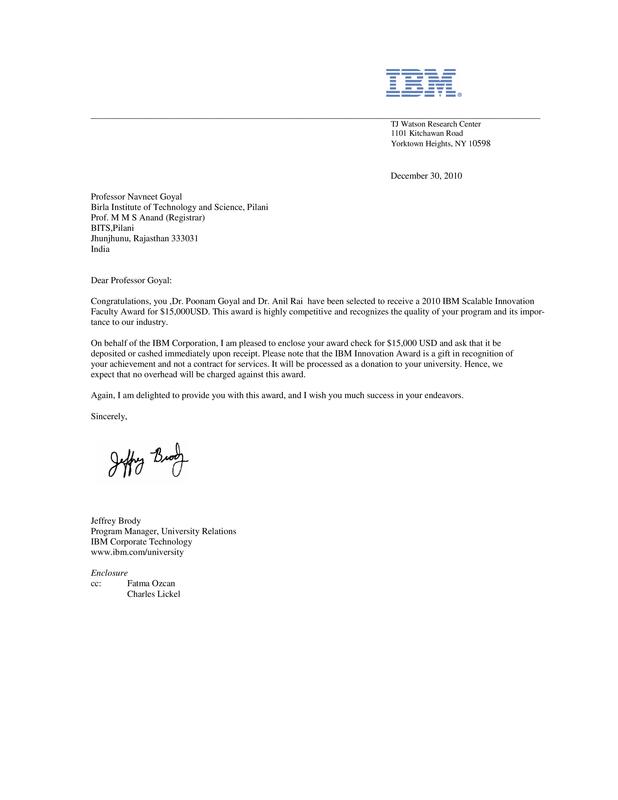 Dr. SK Hafizul Islam's manuscript accepted in Information Sciences. Dr. SK Hafizul Islam's work on Design and analysis of a new tri party password-based authenticated key exchange protocol using extended chaotic maps published in Information Sciences. 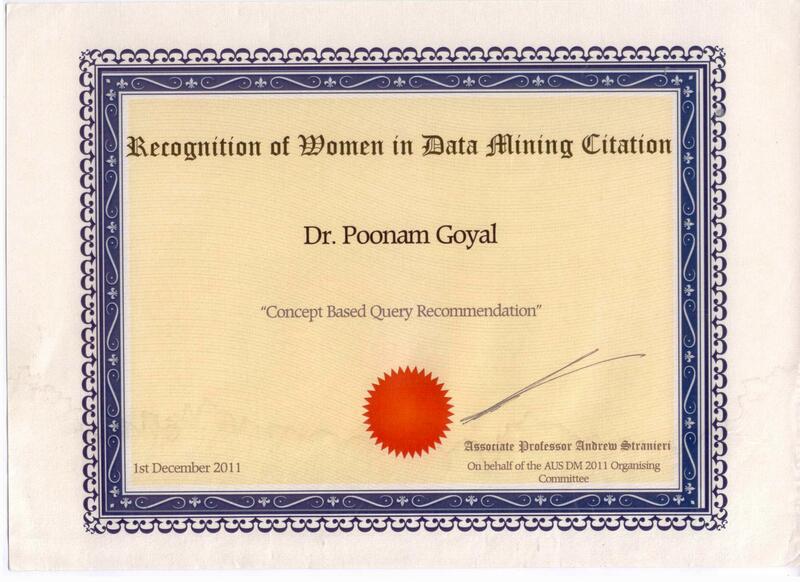 Dr. Poonam Goyal received the “Recognition of Women in Data Mining Citation” award by the Australian Data Mining committee in 2011 for Concept based Query recommendation.